That time when Halo 2 almost made the father of the Xbox quit Microsoft. Working at Microsoft on the Xbox sounds like it must have been a stressful time, especially in the early days, when the product was successful, but Microsoft didn’t understand why it worked, nor did they understand its position in the big picture of their plans- just that it was important. The problem with Microsoft, right after the Xbox had taken off, was that Microsoft, seeing that it was successful, wanted more of a say in how the product was managed- which was the exact opposite of the kind of skunkworks environment that the Xbox team had had when they were first building the product. And unfortunately, the people who wanted more of a say in how things were done on Xbox didn’t much understand the gaming business. It got so bad, Xbox co-creator Ed Fries revealed in an interview with IGN, (main site link here) that at one point in time, he had to threaten to quit his job to get Microsoft to do the right thing. He went on to explain how Microsoft’s supervision on Xbox increased once the product was out and successful- and how it was not always for the best, either. Things came to a head during the development of Halo 2, when Bungie realized that they would need an additional year to work on the game, but Microsoft wanted it out on the original schedule, owing to its importance to the continued success of Xbox. “And an example is the Bungie story- we needed an extra year to do the next version of Halo. I meet with my boss, Robbie Bach, and I say, we need to spend an extra year. And by the way, I enjoyed working for Robbie, we worked together for almost a year, and he’s a great boss… but I’m a product and technology game guy, he’s a marketing and sales guy. I learned how to run [the Microsoft Game Studios] business from him in a lot of ways. “Anyway, instead of saying, yes, let’s take this extra year, he said, let’s have a vote. So he brought all his senior staff members, J Allard and other people you don’t know, and went around the room: should we force Bungie to ship on the original schedule, because Halo is so important? Or should we give them the extra year? Every person in the room voted we should force them, except for me. And I walked out of the room and said, if we don’t give them this extra year, I will quit right now. Even though Fries got his way then, he says that the incident alerted him that the direction the Xbox division was going in was not necessarily one he agreed with- and that, coupled with the allure of being at home with his family, was what made him quit. “And Bungie got the extra year because I said right then that I was going to quit. That worked. It worked that time. But that was just one of a million things that are less important, you can only threaten to quit so many times. It’s like, what about this next thing? Am I going to get to do what I think is right, or is it going to a vote again? 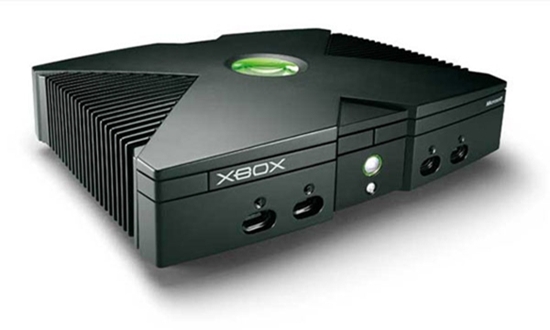 That said, Fries also admitted that the Xbox 360 was a very good product, and not much different from how he would have done it- and I agree with him. For the first five years of its life, the Xbox 360 was basically the perfect console, evidenced in how the system is basically the forebear of all other modern game consoles. I just wish that Microsoft hadn’t lost the way after that with the second half of the Xbox 360’s life, and with the first few years of the Xbox One’s life.